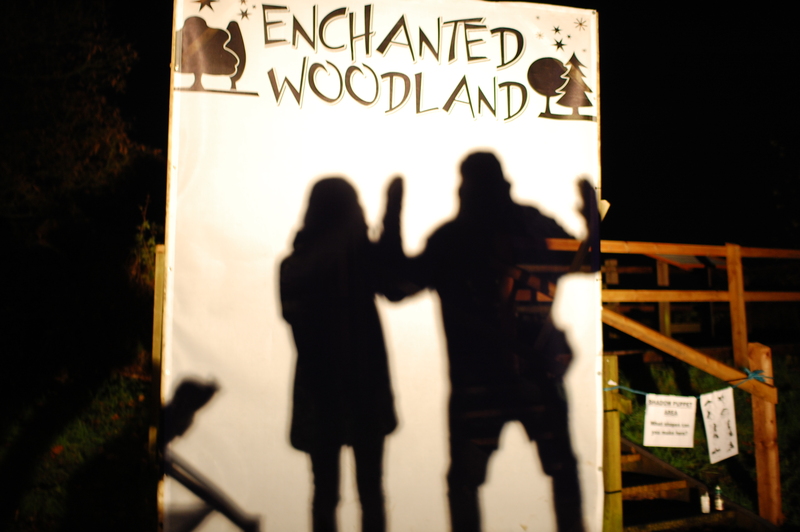 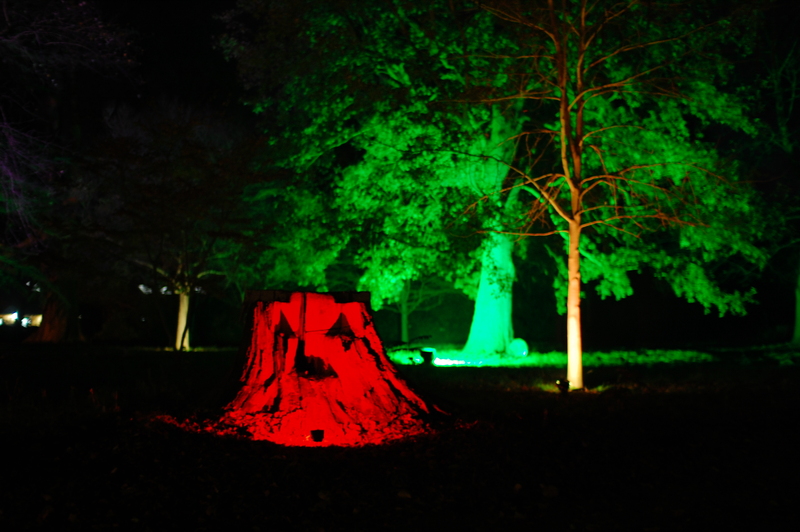 I went to Syon Park Enchanted Woodland Walk. 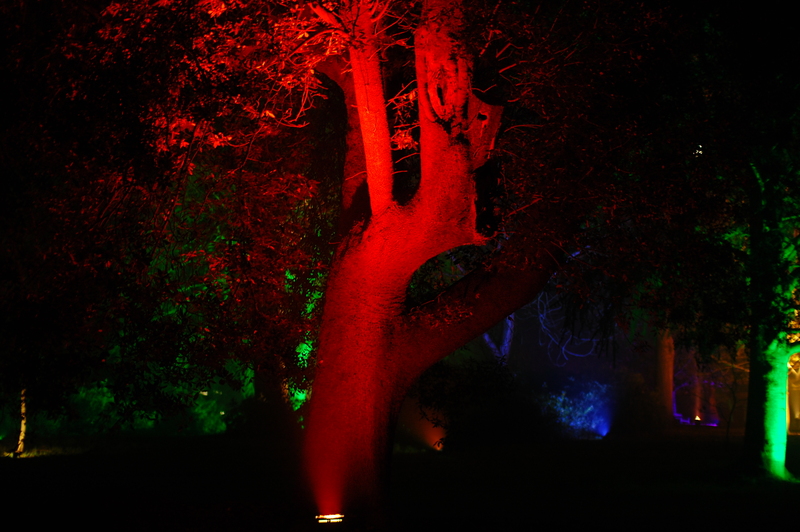 The trees were lit up in all different colours of lighting and looked very dramatic. 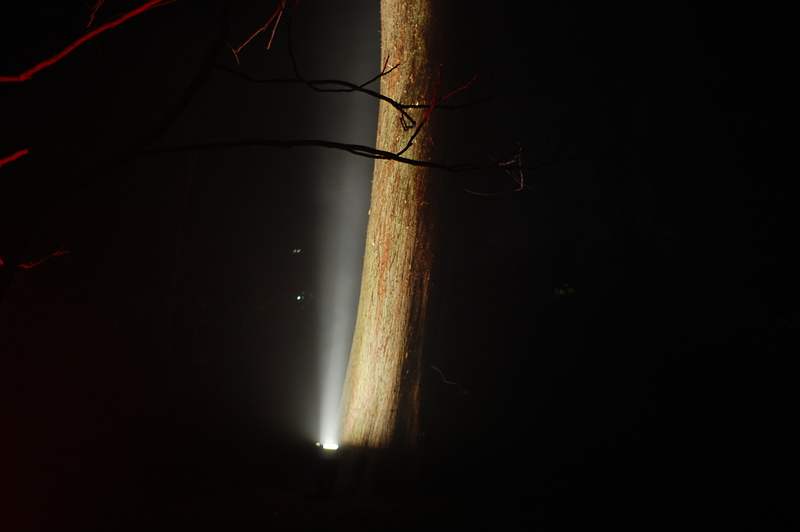 It was very cold evening, but about 2 miles walk became enjoyable, when I found some scary trees! 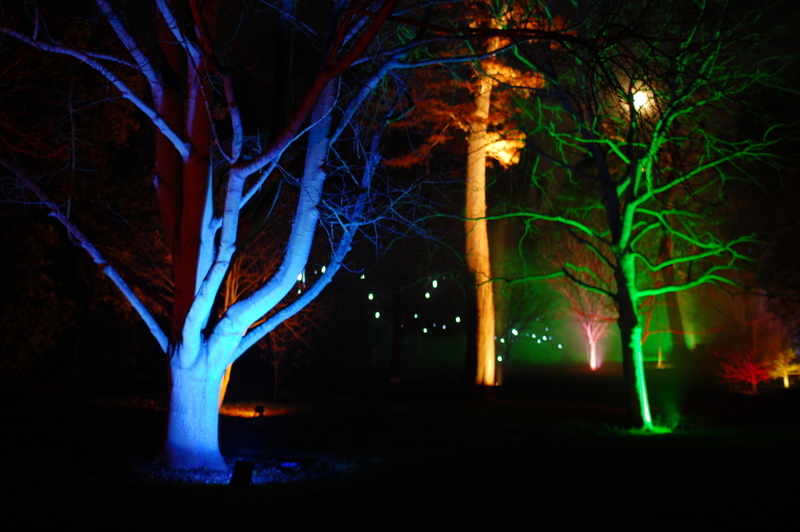 The classical music with a performance of lighting and laser was very impressive! 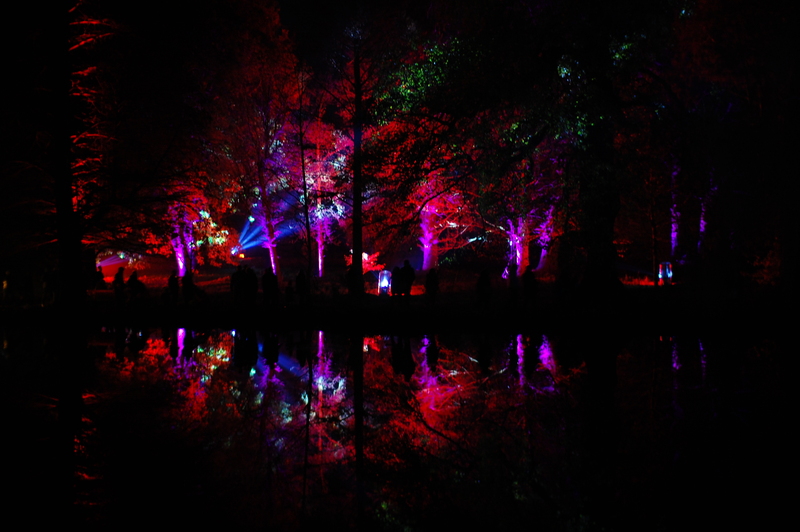 There were some interactive devices for you to change the colour of lighting or play with shadows.